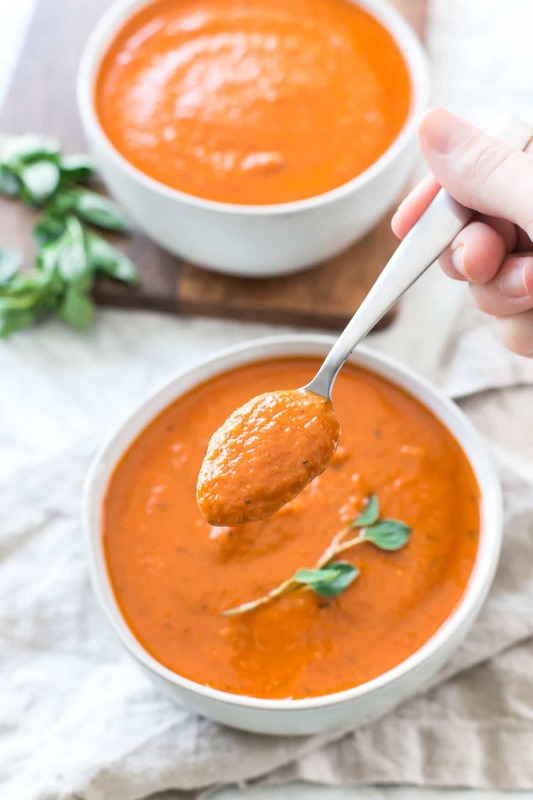 With a few simple ingredients, you can turn a few cans of crushed tomatoes into decadent and creamy dairy free tomato soup without heavy cream. The addition of coconut cream makes this soup silky smooth and rich. It’s perfect for a cold, gloomy day or anytime you’re feeling nostalgic for your childhood favorite. Makes approximately 3 quarts. 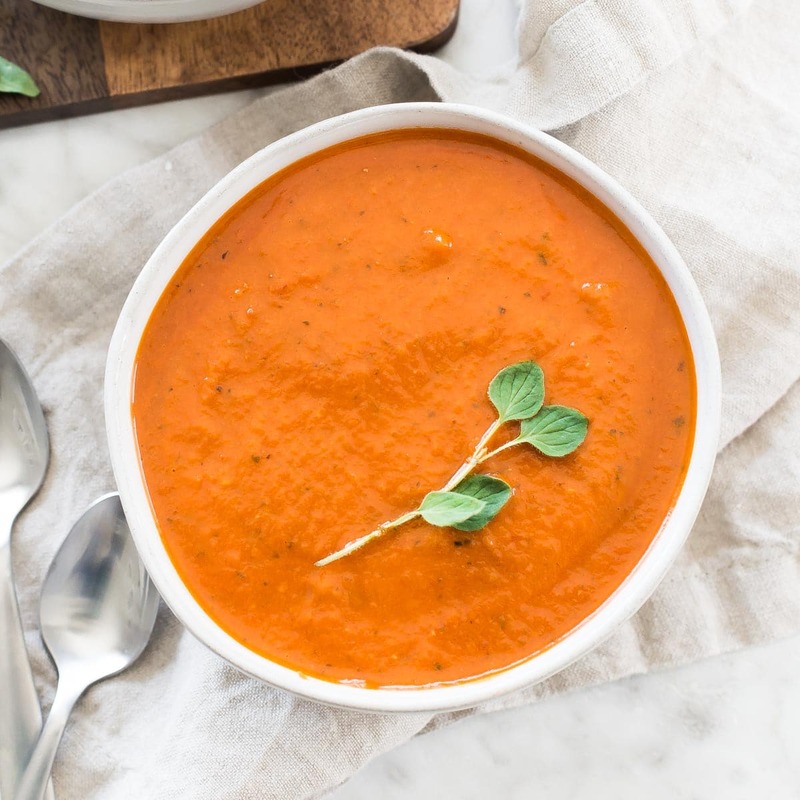 Tomato soup hasn’t always been on my short list of favorites. I always thought it was a little too sweet, and fairly lackluster for my taste. That was probably because I didn’t taste homemade creamy tomato soup until I was an adult. It was a total game changer for me, and when paired with a classic grilled cheese sandwich, I was on board. But, that grilled cheese isn’t really an option anymore, and I thought creamy tomato soup was a thing of the past, until now. 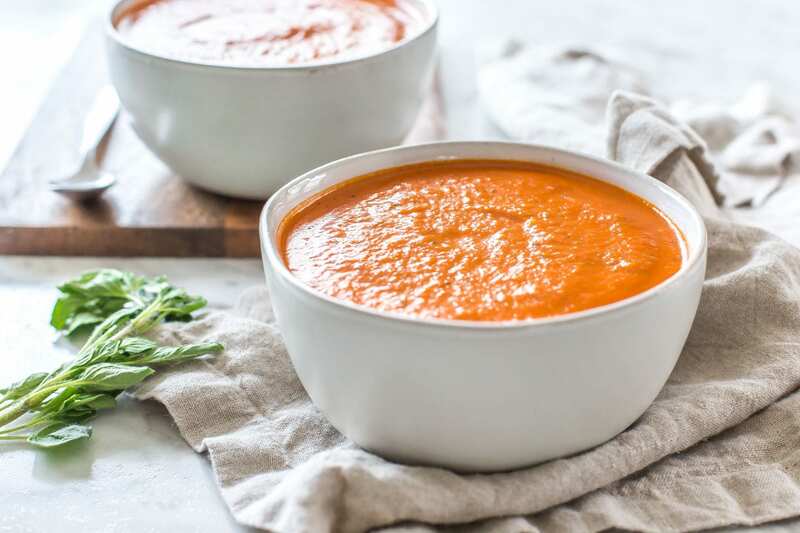 I decided to give this whole tomato soup thing another shot a few weeks ago because we were having unusually cold weather (like record-setting-blizzard in April type weather). 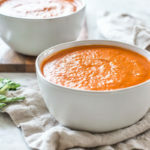 I had fresh tomatoes that needed to be used, and rather than make a tomato salad, I thought soup might be a better choice. And, it was. We made fresh garlic bread using Smart Balance (our favorite dairy free buttery spread). 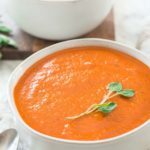 The second time I made this dairy free tomato soup, I didn’t bother with the fresh tomatoes. Mostly because I didn’t have any, but if I’m being completely honest, I just didn’t think it was worth the extra effort. I tried the soup with 3 cans of crushed tomatoes instead, and it turned out perfectly. Plus, the seeds from the tomatoes weren’t as much of an issue for me. I found that with the fresh tomatoes it was harder to puree the seeds. If you want your soup to be extra creamy, you need to use coconut cream in your soup. You can buy a can of coconut cream, which is typically just like coconut milk, but with a little less “water” in it. Or, you can use a regular can of full-fat coconut milk that’s separated already. Here’s how you can tell. Gently try shaking the can. If you don’t here the liquid moving around, it’s probably already separated. If it just sounds like milk in a can, pop it in the fridge for a little while, and it will separate on it’s own. Then you take the cream off the top with a spoon leaving the coconut water in the can. 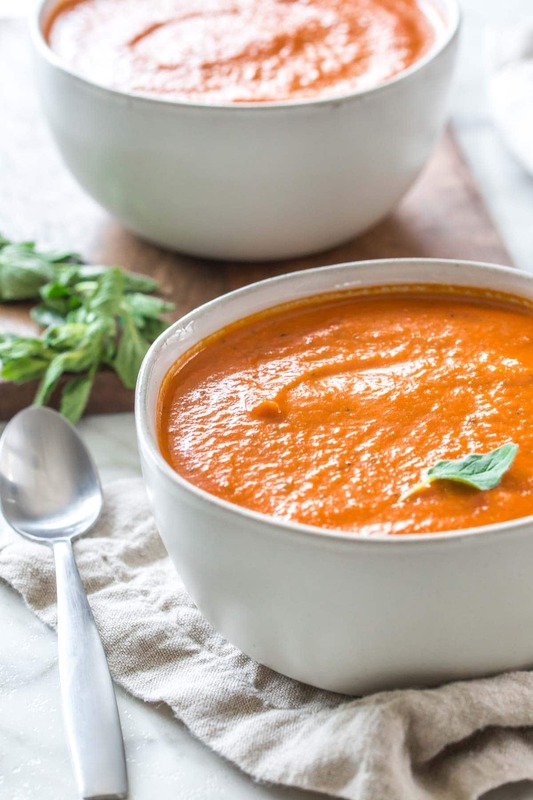 To get the best texture, make sure you blend your soup until it’s super smooth. Heat a large stockpot or Dutch oven to medium high. Add olive oil, onion, garlic and a pinch of salt. Sauté, stirring occasionally, until onions are translucent. Add remaining ingredients and bring to a boil. Cover and simmer for about 20 minutes. Remove bay leaf and blend soup with an immersion blender until smooth. I’m not sure what happened to the directions. I’m guessing this was a technical glitch, but I’ve updated them and they should be visible now! 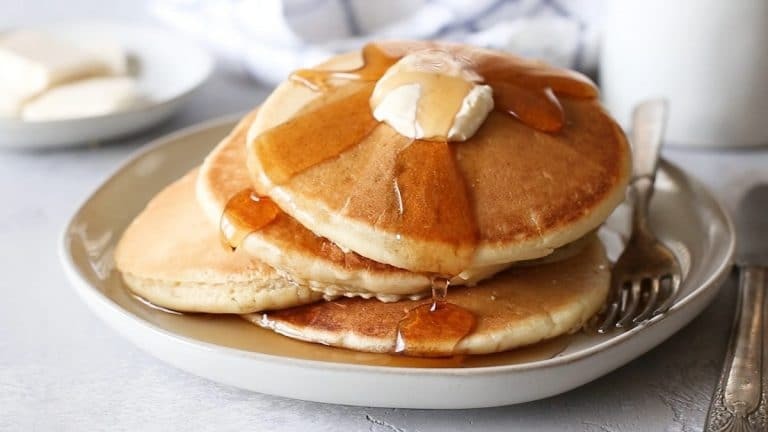 I’m so sorry the recipe wasn’t available for you. The instructions do not mention what to do with the refrigerated coconut milk. You add it when it says “remaining ingredients”! I made this today and it was SO good! 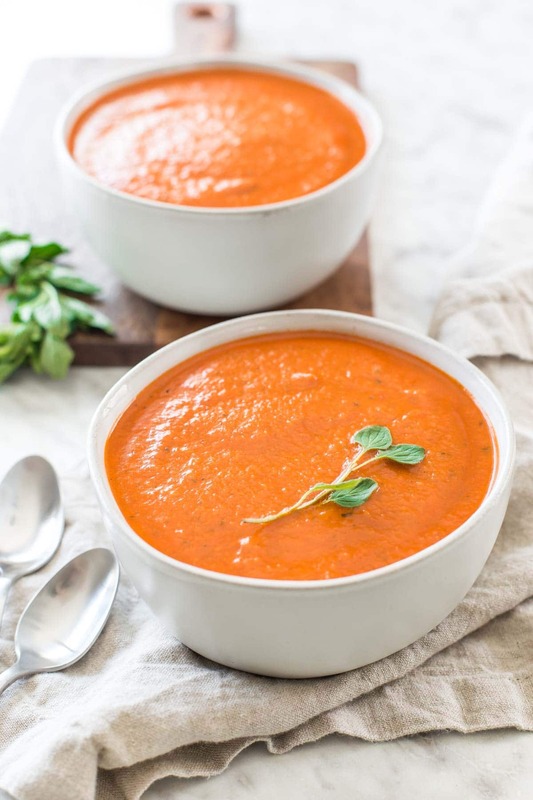 I like my tomato soup creamy and used half coconut milk and half coconut creme. It was perfect! Can this be served as a chilled bisque? You could! I haven’t tried it, but it should be good still!